0 the design of buildings with seismic isolation, for which application of linear analysis methods is allowed under fairly restrictive conditions, and non-linear methods are the reference for the analysis. 8 To verify or revise the value of the factor aja 1 incorporated in the basic or reference value q0 of the behaviour factor of concrete, steel or composite buildings, to account for overstrength due to redundancy of the structural system (cf. Section 5.5 and Fig. 5.2). 9 To design buildings on the basis of a non-linear static analysis and deformation-based verification of its ductile members, instead of force-based design with linear elastic analysis and the design spectrum that incorporates the behaviour factor q. In this case, the seismic action is defined in terms of the target displacement - derived from the elastic spectrum with 5% damping as described in Section 4.5.5.2 - instead of the design spectrum. The introduction of 'pushover' analysis for the direct codified design of buildings is a novelty of Eurocode 8. As there is no precedent in the world, and available design experience is not sufficient to judge the implications of this bold step, countries are allowed to restrict, or even forbid, through their National Annex, the use of non-linear analysis methods for purposes other than the design of buildings with seismic isolation. analysis was not a widely known or used method until important guidance documents emerged in the USA45'46 in response to the pressing need for practical and cost-efficient procedures for the seismic assessment and retrofitting of existing buildings. Since then, due to its appealing simplicity and intuitiveness and the wide availability of the necessary computer programs, pushover analysis has become the analysis method of choice in the everyday seismic assessment practice of existing buildings. Pushover analysis is non-linear static approach carried out under constant gravity loads Clauses and monotonically increasing lateral forces, applied at the location of the masses in the 4.3.3.4.2.1(1), structural model to simulate the inertia forces induced by a single horizontal component of 4.3.3.4.2.2(2), the seismic action. As the applied lateral forces are not fixed but increase monotonically, the 4.3.3.5.2(5) method can describe the evolution of the expected plastic mechanism(s) and of structural damage, as a function of the magnitude of the imposed lateral loads and of the associated horizontal displacements. The method is essentially the extension of the lateral force method of linear analysis into the non-linear regime. As such, it addresses only the horizontal component(s) of the seismic action and cannot treat the vertical component at all. (1) A 'uniform pattern', corresponding to uniform unidirectional lateral accelerations, i.e. to = 1 in equation (D4.ll). If the building satisfies the conditions for the application of lateral force analysis method, an 'inverted triangular' unidirectional force pattern, similar to the one used in that method (i.e. <Pi = zi in equation (D4.ll)). If the building does not meet the conditions for the application of lateral force analysis, a pattern simulating the peak inertia forces of the fundamental mode in the horizontal direction in which the analysis is performed. Although Eurocode 8 is not very specific in this respect, the meaning is that in equation (D4.ll) should follow the fundamental mode shape as determined from a modal analysis. If this mode is not purely translational, the pattern of <Pl and of the lateral forces Fl will not be unidirectional anymore: it may have horizontal components orthogonal to that of the considered seismic action component. 4.3.3.4.1 (7) there is perfect symmetry with respect to an axis orthogonal to that of the seismic action component considered, each lateral force pattern should be applied in both the positive and the negative directions (sense), and the result to be used should be the most unfavourable one from the two analyses. 4.3.3.4.2.3 base shear force, Fb, and a representative lateral displacement of the structure, dn. That displacement is often taken at a certain node n of the structural model, termed the 'control node'. The control node is normally at the roof level, usually at the centre of mass there. The pushover analysis has to extend at least up to the point on the capacity curve with a displacement equal to 1.5 times the 'target displacement', which defines the demand due to the seismic action component of interest. The inelastic deformations and forces in the structure from the pushover analysis at the time the target displacement is attained are taken as the demands at the local level due to the horizontal component of the design seismic action in the direction in which the pushover analysis is performed. Although it is physically appealing to express the capacity curve in terms of the base shear force and of the roof displacement, a mathematically better choice that relates very well to the definition of the seismic demand in terms of spectral quantities is to present the capacity curve in terms of the lateral force and displacement of an equivalent single-degree-of-freedom (SDOF) system. 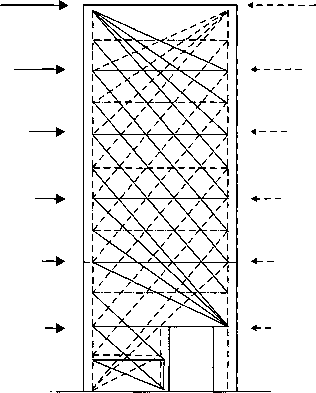 The equivalent SDOF system, which is essential for the determination of seismic demand, is introduced below. This section relates to informative Annex B. 2 of EN 1998-1. The equivalent SDOF for pushover analysis is derived via the N2 procedure in Fajfar,47 given in informative Annex B of EN 1998-1. It is clear from equations (D4.ll) to (D4.15) that if emulates the shape of a normal mode, then the transformation factor is the participation factor of that mode in the direction of application of the lateral forces. This section relates to informative Annex B.3 of EN 1998-1.
where dm is the displacement of the equivalent SDOF system at formation of the plastic mechanism and Em* the deformation energy under the actual capacity curve up to that point. The only use of the values of the yield force, Fy, and of the yield displacement of the SDOF system, dy, is for the estimation of the elastic stiffness as Fy/dy. 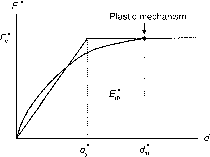 It is not essential to identify formation of the plastic mechanism on the capacity curve to determine the values of these two parameters; if a complete plastic mechanism does not develop between the target displacement and the terminal point of the capacity curve, Fy, dm and Em may be determined on the basis of that latter point. This section relates to informative Annex B.4 of EN 1998-1. The period T" of the equivalent SDOF system is estimated as where Fby and dny are repectively the base shear and the control node displacement at the 'yield point' of the elastic-perfectly plastic SDOF system. If the structure is indeed linear-elastic up to the yield point of the elastic-perfectly plastic SDOF system, the period obtained from equation (D4.17) is identical to the value computed through the Rayleigh quotient, equation (D4.6), on the basis of the results of a linear analysis for the same pattern of lateral forces used for the construction of the capacity curve. In other words, the fundamental period is invariant during the transformation of the 3D structure into an equivalent SDOF system. Clause This section relates to clause 4.3.3.4.2.6 and informative Annex B.5 of EN 1998-1. 4.3.3.4.2.6 Unlike linear elastic analysis of the lateral force or modal response spectrum type, or non-linear dynamic (response time-history) analysis, both of which readily yield the (maximum) value of the response quantities to a given earthquake (i.e. the seismic demands), pushover analysis yields only the capacity curve perse. The demand needs to be estimated separately. This is normally done in terms of the maximum displacement induced by the earthquake, either to the equivalent SDOF system or to the control node of the full structure; the displacement demand on either one of these is termed 'target displacement'. where qu is the ratio of m"SJJ") to the yield strength F* in the elastic-perfectly plastic approximation to the capacity curve. Figure 4.3 depicts graphically how equations (D4.18) and (D4.19) work. The displacement at the control n that corresponds to the target displacement of the SDOF system is obtained by inverting equation (D4.14). As noted already, pushover analysis, as well as Fajfar's N2 procedure47 adopted in EN 1998-1, have been developed for 2D analyses under a single component of the seismic action. It is clear from the above that the standard pushover analysis can capture the expected plastic mechanism(s) and the distribution and extent of damage only if, during the response, lateral inertial forces (represented by F(.) indeed follow the postulated pattern of horizontal displacements 4>i according to equation (D4.ll), as if the structure responds in a single normal mode described by equation (D4.ll). The question may arise, then, to what extent the standard pushover analysis may be applied, if the response may be significantly affected by torsion in 3D and/or by higher-mode effects, and what corrections may be appropriate in such cases. If the fundamental mode in, or close to, each one of the two orthogonal horizontal directions in which the pushover analysis is performed includes a torsional component, then the effects of this component on the response will most likely be captured if lateral forces Fi are applied to nodes and the corresponding displacement pattern in equation (D4.ll) follows the modal shape of the corresponding fundamental mode. However, it has been found that if the first mode or the second mode in one of the two orthogonal horizontal directions is predominantly torsional, then standard pushover analysis may overestimate deflections on the flexible/weak side in plan (i.e. the one that develops larger horizontal displacements than the opposite side under static lateral forces parallel to it) and underestimate them on the opposite, stiff/strong, side. The difference in the prediction on the flexible/weak side is usually on the safe (conservative) side, and may be ignored. However, on the stiff/strong side the difference in the prediction may be on the unsafe side; according to Eurocode 8, it should be taken into account. (1) The standard pushover analysis is performed on the 3D structural model, with the unidirectional pattern of lateral forces, 'uniform' or 'modal', applied to the centres of mass of the floors. system is determined from the elastic response spectrum with 5% damping and is transformed into a displacement at the control n at the centre of mass of the roof by inverting equation (D4.14). (3) A modal response spectrum analysis of the same 3D structural model is performed. The displacement in the horizontal direction in which the pushover analysis has been performed is computed at all nodes of the roof (including the control node at the centre of mass there) through the SRSS (equation (D4.9)) or the CQC rule (equation (D4.10)), as appropriate, and divided by the corresponding value at the control node at the centre of mass, to give an 'amplification factor' that reflects the effect of torsion on the roof displacements. (4) Wherever the amplification factor derived as in point 3 above is greater than 1.0, it is used to multiply the displacements of all nodes along the same vertical line, as these are obtained from the standard pushover analysis in points (1) and (2) above. The outcome is assumed to reflect, on one hand, the evolution of the global inelastic behaviour and its heightwise distribution as captured by the standard pushover analysis, and, on the other hand, the effect of global torsion on the planwise distribution of inelasticity. The restriction of the amplification factor being greater than 1.0 implies that de-amplification due to torsion is neglected, as non-linear response-history analyses have shown that the larger the extent and the magnitude of inelasticity, the smaller the effects of torsion on local response. As noted above, pushover analysis with a force pattern according to equation (D4.ll) captures only the effects of a single normal mode, and then only to the extent that the modal shape is fairly well approximated by the displacement pattern used in equation (D4.ll). Modal pushover analysis has been proposed50,51 to capture the effects of higher modes. Its application to flexible multi-storey steel frames, symmetric as well as mass-unsymmetric ones, has shown that three normal modes may suffice for agreement with the predictions of non-linear response-history analysis. EN 1998-352 limits the use of pushover analysis with the two standard lateral force patterns (the 'uniform' and the 'modal' pattern) to buildings that meet condition (a) in Section 4.5.2.2 for the applicability of the lateral force analysis method (fundamental period shorter than 2 s and four times the transition period Tc between the constant spectral acceleration and the constant spectral pseudo-velocity regions of the spectrum). For buildings not meeting this condition, reference is made to the use of either non-linear dynamic (response-history) or modal pushover analysis. 3.2.3.1.1 (2), in the 1970s for research, code calibration or other special purposes. Since then, and owing 3.2.3.1.2(4)(a), to the wide availability of several reliable and numerically stable computer programs with 4.3.3.4.3(1), non-linear dynamic analysis capabilities, the method has gained a place in engineering 4.3.3.4.3(3) practice for the evaluation of structural designs previously achieved through other approaches (e.g. through conventional force-based design that uses the q factor and linear analysis) or through cycles of analysis and design evaluation. Its practical application is greatest in structures (buildings or bridges) with seismic isolation, as there the response is governed by a few elements (the isolation devices) with force-deformation behaviour which is strongly non-linear and does not follow a standard pattern (i.e. it depends on the specific device used). Unlike the static version, the dynamic version of non-linear analysis does not require an a priori and approximate determination of the global non-linear seismic demand (cf. the target displacement in pushover analysis). Global displacement demands are determined in the course of the analysis of the response. Moreover, unlike modal response spectrum analysis, which provides only best estimates of the peak response (through statistical means, such as the SRSS and the CQC rules), peak response quantities determined by non-linear dynamic analysis are exact, within the framework of the reliability and representativeness of the non-linear modelling of the structure. The only drawbacks of the approach are its sophistication and the relative sensitivity of its outcome to the choice of input ground motions. For a non-linear dynamic analysis the seismic action should be represented in the form of time-histories of the ground motion, conforming, on average, to the 5% damping elastic response spectrum defining the seismic action. At least three artificial, recorded or simulated records should be used as input (or pairs or triplets of different records, for analysis under two or three simultaneous components of the action). If the response is obtained from at least seven non-linear time-history analyses with (triplets or pairs of) ground motions conforming, on average, to the 5% damping elastic response spectra, the average of the response quantities from all these analyses may be used as the action effect in the relevant verifications. Otherwise, the most unfavourable value of the response quantity among the analyses should be used. How lateral force is applied to3D modol of a building? 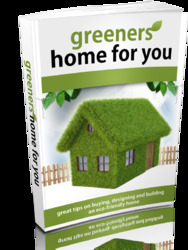 How to design buildings using eurocode 8? How to use pushover analysis results? How to find target displacement in pushover analysis of existing building using eurocode?